Mix, stir, blend, and muddle with this refreshing, perfectly portable, and beautifully designed guide to Martha’s favorite cocktails. 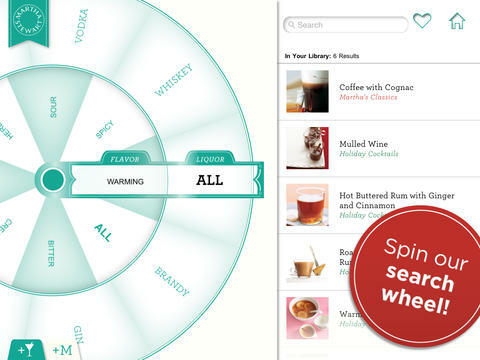 The app comes with 6 recipe bundles: Martha’s Classics, Cutting-Edge Cocktails, alcohol-free Mocktails, Coolers, Regional Favorites, and Holiday. Start building your own Martha mixology library today!